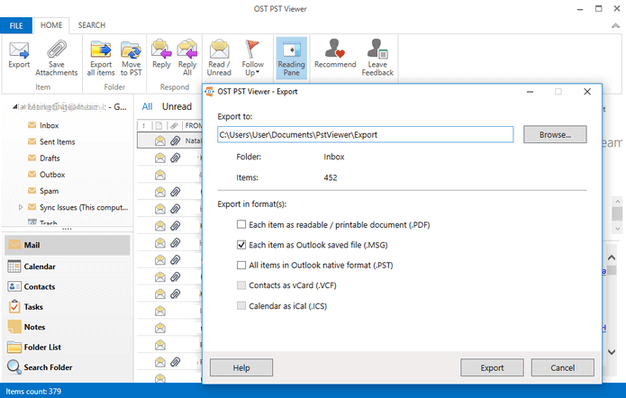 How to view PST files using Free OST PST Viewer software. You can open .pst files of any size created by any version of Microsoft Outlook. View PST files content without importing and without Outlook. Extract, export and print out content of .ost files to .pst, pdf*, .msg, .vcf, vcard, .ical file formats. Use quick search to find the message or items in disconnected PST files. With the Pro version use advanced search and filtering to find specific items or messages. View PST file content such as messages, contacts, calendars and notes in any folder. Open and view multiple inaccessible .pst files even if you don’t have Microsoft Outlook installed. Choose a PST file you would like to view. 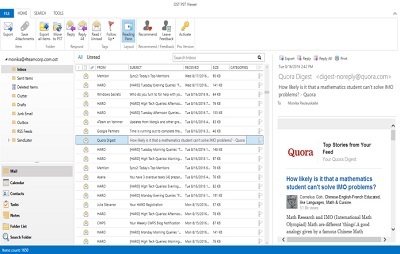 You can now easily explore your PST file content without Outlook.